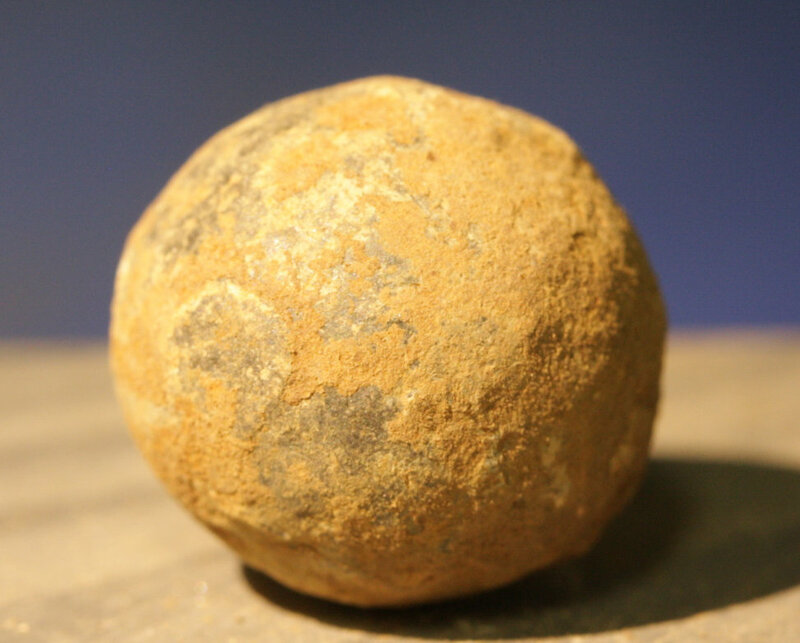 This .69 caliber round ball comes from the collection of a Maryland relic hunter who stored everything that he found in small cardboard boxes that were carefully labeled with the location where they came from (the name of this relic hunter will be provided in the provenance letter). 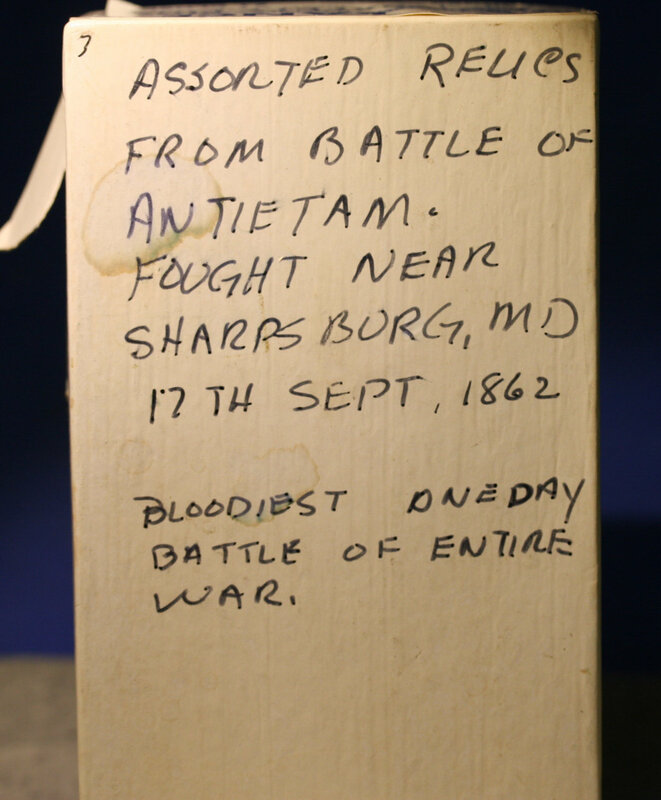 This relic was in a box of relics that were identified as having been found at Antietam. I have included a photo of the identification on the box, but this box is not included with the item. 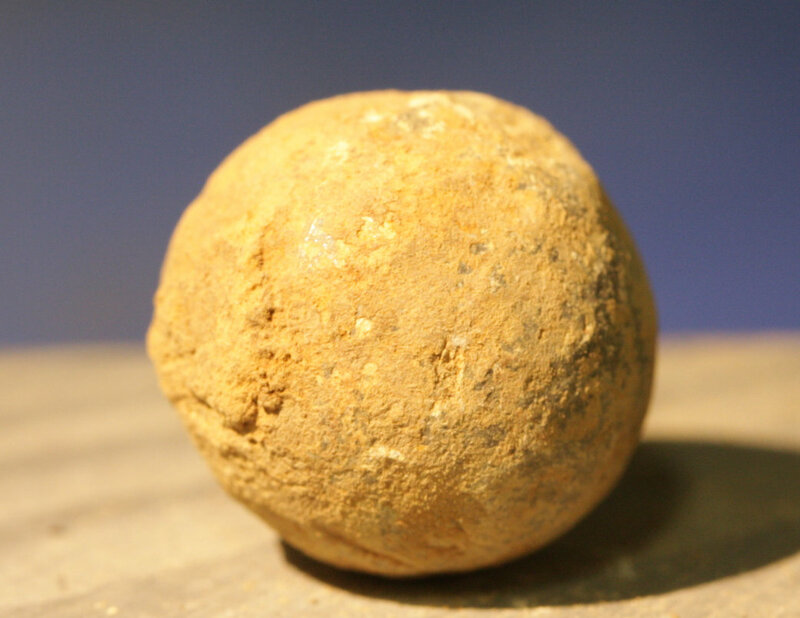 This is the first time that this relic has been offered to the public for sale having come fresh out of the relic hunter's estate. A provenance letter will be included.